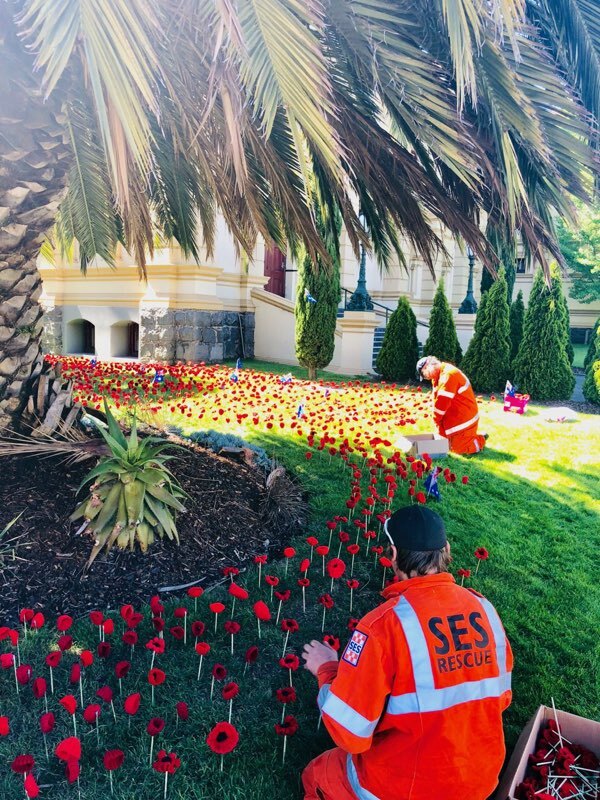 The Albert Hall lawn will see a flash of colour for Centenary of Armistice celebrations this weekend, thanks to the tireless work of SES Volunteers. Thousands of hand-knitted poppies have been installed ahead of their final placement on Thursday in the lead up to the Armistice Remembrance Concert. 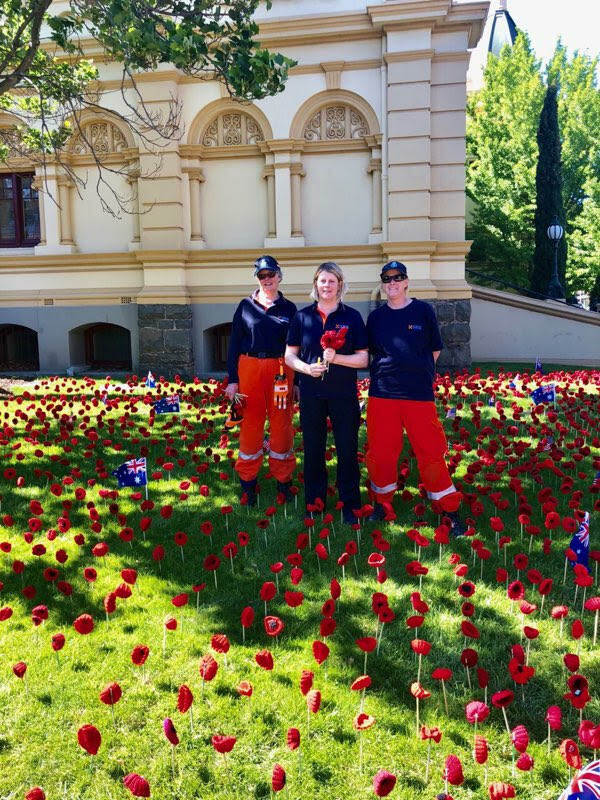 State Emergency Service regional manager for the north, Mhairi Revie, said it took eight SES volunteers about four hours to install the display of knitted poppies. Many SES volunteers have a service background Ms Revie added, with the organisation itself originally stemming from civil defence. 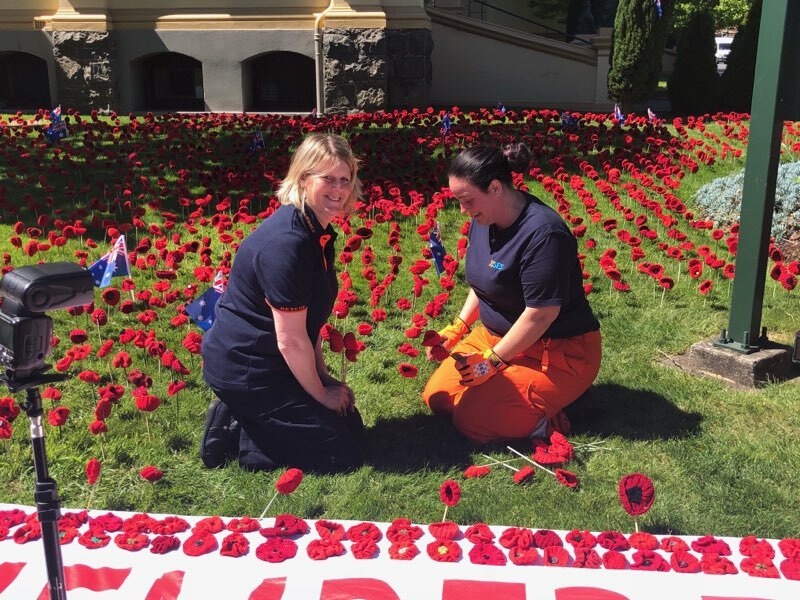 The Tasmanian CWA started work on the poppies around two years ago, after receiving the request from RSL Tasmanian Centenary of Armistice coordinator Brian Watson. The poppies will feature prominently in the Centenary of Armistice Remembrance Concert being held on Saturday 10 November at The Albert Hall. Thousands will adorn the front lawn, while others have been knitted into a carpet to greet attendees inside. More still will form a poppy curtain hanging at the back of the concert stage, behind a painting which depicts the signing of the Armistice documents.